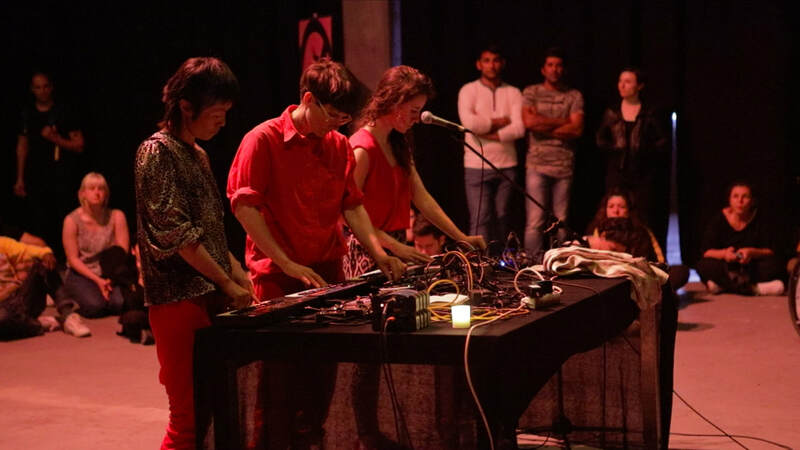 Red Monky is a feminist performance trio consisting of Miriam Siebenstädt, Su-Mi Jang and Manon Parent who live and work in Berlin. 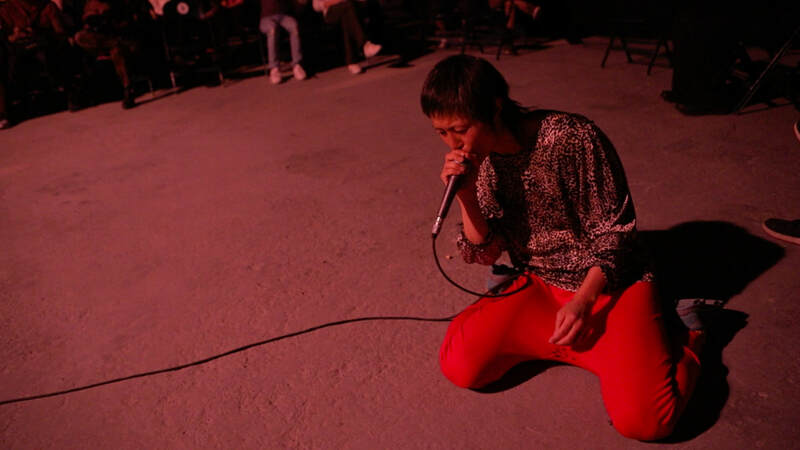 Their work is related to improvisation as a correlation between sound and movement. 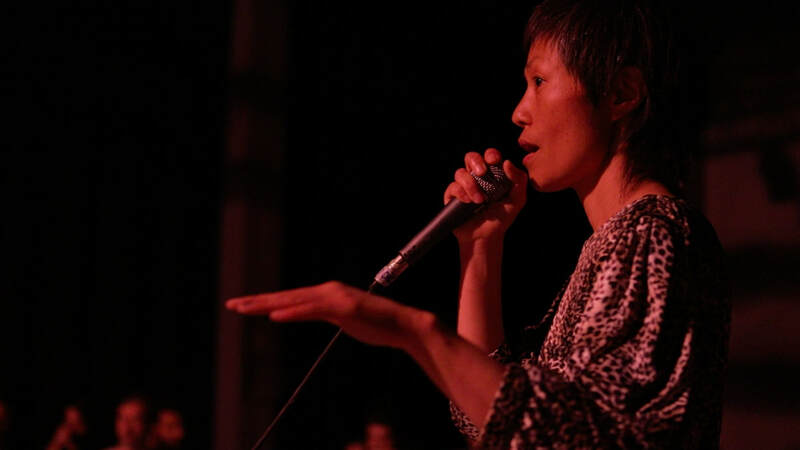 They decided to work with improvisation as a permeable feminist entity that will develop over time, as a band could develop. 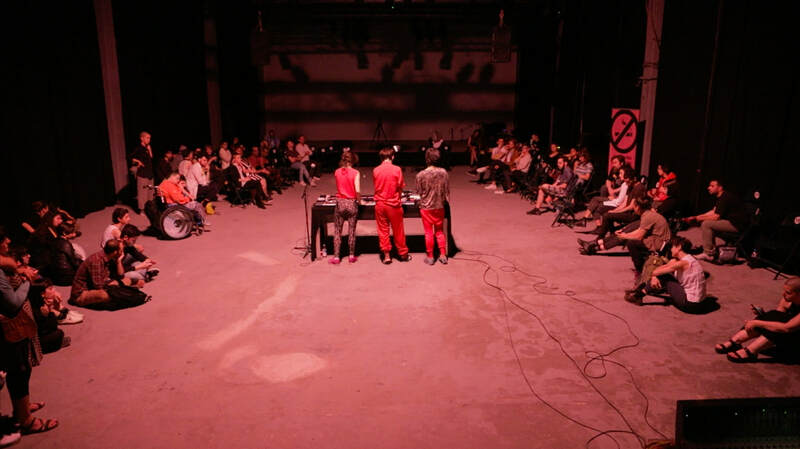 Thematics that repeat in their multimedia work is interdisciplinarity, artistic / human extension of cooperation and the architectural structure of the space the performance takes place. Outside of its core members, Red Monky incorporates a rotating circle of performers, which alternate at each representation. Red Monky maintain that "women (by women we mean anyone who identifies as a women) are still under-represented in the experimental Berlin scene, and in our opinion not empowered to perform in their full potential range, this project also engages in a research about the specificities, uniqueness, bonds and strength of the feminine gender." 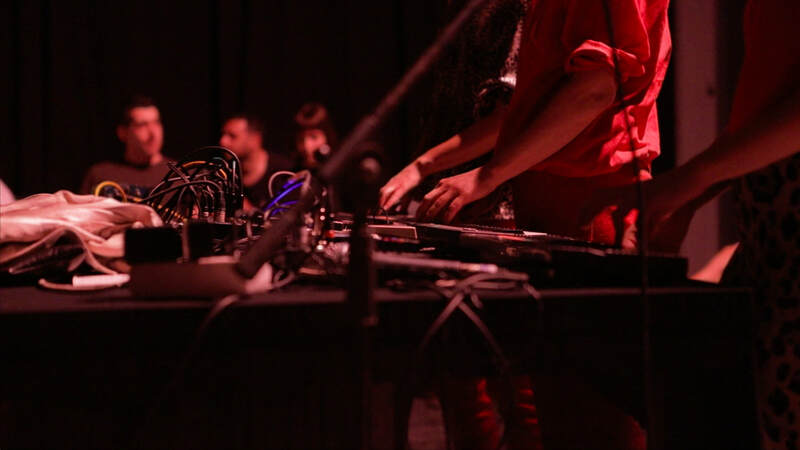 In Sound Acts, Red Monky presented a part-interactive part-sombre performance where spoken word, drone and architecture blended into a sublime mix.